The chapter “Freedom of Movement” of the US State Department’s “India 2018 Human Rights Report”, released recently, has criticized BJP chief Amit Shah for terming alleged Bangladeshis who may be in Assam as “termites”, because their names were struck down from the list of National Register of Citizens, under preparation in the state. “Undocumented physical presence in the country is a criminal offense. Persons without documentation were vulnerable to forced returns and abuse”, the report says. The law provides for freedom of internal movement, foreign travel, emigration, and repatriation. The government generally respected these rights. In 2015 the implementation of a land-boundary agreement between India and Bangladesh enfranchised more than 50,000 previously stateless residents, providing access to education and health services. The country hosts a large refugee population, including 108,005 Tibetan refugees and approximately 90,000 refugees from Sri Lanka. The government generally allows the Office of the UN High Commissioner for Refugees (UNHCR) to assist asylum seekers and refugees from noncontiguous countries and Burma. In many cases refugees and asylum seekers under UNHCR’s mandate reported increased challenges regularizing their status through long-term visas and residence permits. Rohingya refugees were registered by UNHCR but not granted legal status by the government. Abuse of Migrants, Refugees, and Stateless Persons: The law does not contain the term “refugee,” treating refugees like any other foreigners. Undocumented physical presence in the country is a criminal offense. Persons without documentation were vulnerable to forced returns and abuse. The courts protected refugees and asylum seekers in accordance with the constitution. Refugees reported exploitation by nongovernment actors, including assaults, gender-based violence, fraud, and labor exploitation. Problems of domestic violence, sexual abuse, and early and forced marriage also continued. Gender-based violence and sexual abuse were common in camps for Sri Lankans. Most urban refugees worked in the informal sector or in occupations such as street vending, where they suffered from police extortion, nonpayment of wages, and exploitation. UNHCR and NGOs observed an increase in antirefugee (specifically anti-Rohingya) rhetoric throughout the year in advance of state and 2019 national elections, which reportedly led to an increased sense of insecurity in refugee communities. On October 4, the Supreme Court rejected a plea to stop the deportation of seven Rohingya immigrants from Assam. The court noted the individuals, held in an Assam jail since 2012, were arrested by Indian authorities as illegal immigrants and that Burma was ready to accept them as their nationals. In-country Movement: The central government relaxed restrictions on travel by foreigners to Arunachal Pradesh, Nagaland, Mizoram, Manipur, and parts of Jammu and Kashmir, excluding foreign nationals from Pakistan, China, and Burma. The Ministry of Home Affairs and state governments required citizens to obtain special permits upon arrival when traveling to certain restricted areas. The trend of delaying issuance and renewal of passports to citizens from the state of Jammu and Kashmir continued, sometimes up to two years. The government reportedly subjected applicants born in the state of Jammu and Kashmir, including children born to military officers deployed in the state, to additional scrutiny and police clearances before issuing them passports. Citizenship: On July 31, the government of Assam published the final draft of the National Register of Citizens (NRC), a document intended to define individuals with a claim to citizenship in a state that experienced an influx of foreigners in 1971. In 1985 the government declared that anyone who entered Assam without proper documentation after March 24, 1971, would be declared a foreigner. The names of four million residents were excluded from the final draft list, leading to uncertainty over the status of these individuals, many of whose families had lived in the state for several generations. Individuals will be required to go through an appeals process to have their names included in the final list of Indian citizens. The Supreme Court is overseeing the process, and four million individuals were given 60 days from September 25 to file a claim or objection. 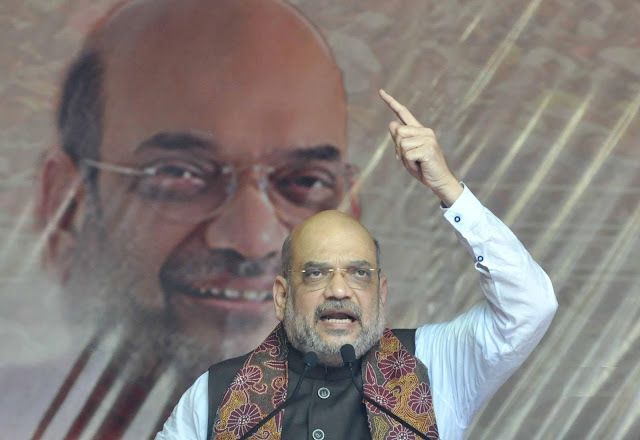 On September 24, ruling BJP party president Amit Shah called Bangladeshis who may be in Assam “termites” who will be struck from the list of citizens. Authorities located IDP settlements throughout the country, including those containing groups displaced by internal armed conflicts in the state of Jammu and Kashmir, Maoist-affected areas, the northeastern states and Gujarat. The 2018 annual report of the Internal Displacement Monitoring Center asserted 806,000 individuals were displaced because of conflict and violence as of December 2017, with 78,000 new displacements due to conflict in 2017. Estimating precise numbers of those displaced by conflict or violence was difficult, because the government does not monitor the movements of displaced persons, and humanitarian and human rights agencies had limited access to camps and affected regions. While authorities registered residents of IDP camps, an unknown number of displaced persons resided outside the camps. Many IDPs lacked sufficient food, clean water, shelter, and health care. National policy or legislation did not address the issue of internal displacement resulting from armed conflict or from ethnic or communal violence. The welfare of IDPs was generally the purview of state governments and local authorities, allowing for gaps in services and poor accountability. The central government provided limited assistance to IDPs, but they had access to NGOs and human rights organizations, although neither access nor assistance was standard for all IDPs or all situations. NGOs estimated Gotti Koya tribe members displaced due to prior paramilitary operations against Maoists numbered 50,000 in Chhattisgarh and 27,000 in Telangana and Andhra Pradesh. In October 2017 the Hyderabad High Court directed the Telangana government not to displace the Gotti Koya tribal members or demolish their dwelling units. Refoulement: The government detained Rohingya in many of the northeastern states of the country. 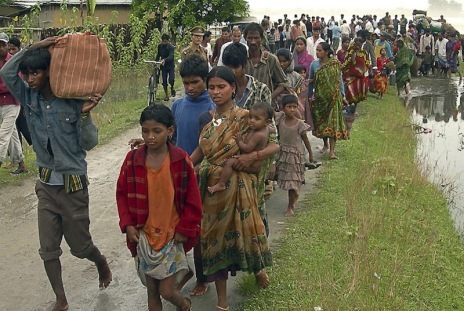 For example, after serving the allotted time for illegal entry into the country, the government obtained travel permits for seven Rohingya refugees from Burmese authorities and, according to media reports on October 4, the seven Rohingya were transported from prison to the border town of Moreh in Manipur state to be deported. In July, Minister of State Kiren Rijiju informed the lower house of parliament that the Ministry of Home Affairs instructed state governments to identify Rohingya migrants through the collection of biometric data. The Ministry of Home Affairs directed state governments to monitor Rohingya and restrict their movements to specific locations. The government advocated for the return of Rohingya migrants to Burma. Access to Asylum: Absent a legal framework, the government sometimes granted asylum on a situational basis on humanitarian grounds in accordance with international law. This approach resulted in varying standards of protection for different refugee and asylum seeker groups. The government recognized refugees from Tibet and Sri Lanka and honored UNHCR decisions on refugee status determination for individuals from other countries, including Afghanistan. UNHCR did not have an official agreement with the government but maintained an office in New Delhi where it registered refugees and asylum seekers from noncontiguous countries and Burma, made refugee status determinations, and provided some services. The office’s reach outside of New Delhi was limited, however. The government permitted UNHCR staff access to refugees in other urban centers and allowed it to operate in Tamil Nadu to assist with Sri Lankan refugee repatriation. Authorities did not permit UNHCR direct access to Sri Lankan refugee camps, Tibetan settlements, or asylum seekers in Mizoram, but it did permit asylum seekers from Mizoram to travel to New Delhi to meet UNHCR officials. Refugees outside New Delhi faced added expense and time to register their asylum claims. The government generally permitted other NGOs, international humanitarian organizations, and foreign governments access to Sri Lankan refugee camps and Tibetan settlements, but it generally denied access to asylum seekers in Mizoram. The government denied requests for some foreigners to visit Tibetan settlements in Ladakh. After the end of the Sri Lankan civil war, the government ceased registering Sri Lankans as refugees. The Tamil Nadu government assisted UNHCR by providing exit permission for Sri Lankan refugees to repatriate voluntarily. The benefits provided to Sri Lankan Tamil refugees by the state government of Tamil Nadu were applicable only within the state. The central government approved the extension of funding to run the camps until 2020. Employment: The government granted work authorization to many UNHCR-registered refugees, and others found employment in the informal sector. Some refugees reported discrimination by employers. Access to Basic Services: Although the country generally allowed recognized refugees and asylum seekers access to housing, primary and secondary education, health care, and the courts, access varied by state and by population. Refugees were able to use public services, although access became more complicated during the year because many refugees were unable to acquire the digitized identity (Aadhaar) card necessary to use some services. In cases where refugees were denied access, it was often due to a lack of knowledge of refugee rights by the service provider. In many cases UNHCR was able to intervene successfully and advocate for refugee access. The government allowed UNHCR-registered refugees and asylum seekers to apply for long-term visas that would provide work authorization and access to higher education, although the rate of renewal for long-term visas slowed significantly. For undocumented asylum seekers, UNHCR provided a letter upon registration indicating the person was under consideration for UNHCR refugee status. The government did not fully complete a 2012 Ministry of Home Affairs directive to issue long-term visas to Rohingya. It has reportedly slowed renewals for those with long-term visas significantly, limiting access to formal employment in addition to education, health services, and bank accounts. Sri Lankan refugees were permitted to work in Tamil Nadu. Police, however, reportedly summoned refugees back into the camps on short notice, particularly during sensitive political times such as elections, and required refugees or asylum seekers to remain in the camps for several days. Government services such as mother and child health programs were available. Refugees were able to request protection from police and courts as needed. The government did not accept refugees for resettlement from other countries. By law parents confer citizenship, and birth in the country does not automatically result in citizenship. Any person born in the country on or after January 26, 1950, but before July 1, 1987, obtained Indian citizenship by birth. A child born in the country on or after July 1, 1987, obtained citizenship if either parent was an Indian citizen at the time of the child’s birth. Authorities consider those born in the country on or after December 3, 2004, citizens only if at least one parent was a citizen and the other was not illegally present in the country at the time of the child’s birth. Authorities considered persons born outside the country on or after December 10, 1992, citizens if either parent was a citizen at the time of birth, but authorities do not consider those born outside the country after December 3, 2004, citizens unless their birth was registered at an Indian consulate within one year of the date of birth. Authorities can also confer citizenship through registration under specific categories and via naturalization after residing in the country for 12 years. Tibetans reportedly sometimes faced difficulty acquiring citizenship despite meeting the legal requirements. The Assam state government began a process to update the NRC to determine who has legal claim to citizenship in the country, and who is determined to have migrated illegally per a 2014 Supreme Court order. According to official reports, the government has excluded an estimated four million persons from the NRC draft list published on July 30. The central and state governments indicated that all persons not listed were able to file claims and objections for 60 days from September 25. The future legal status of those excluded is not clear. Many individuals may be declared citizens at the end of the process, while others may be at risk of statelessness. According to UNHCR and NGOs, the country had a large population of stateless persons, but there were no reliable estimates. Stateless populations included Chakmas and Hajongs, who entered the country in the early 1960s from present-day Bangladesh, and groups affected by the 1947 partition of the subcontinent into India and Pakistan. Children born in Sri Lankan refugee camps received Indian birth certificates. While Indian birth certificates alone do not entitle refugees to Indian citizenship, refugees may present Indian birth certificates to the Sri Lankan High Commission to obtain a consular birth certificate, which entitles them to pursue Sri Lankan citizenship. According to the Organization for Eelam Refugees’ Rehabilitation, approximately 16,000 of 27,000 Sri Lankan refugee children born in the refugee camps have presented birth certificates to the Sri Lankan Deputy High Commission in Chennai. According to UNHCR, the Sri Lankan Deputy High Commission issued 2,858 birth certificates during the year. UNHCR and refugee advocacy groups estimated that between 25,000 and 28,000 of the approximately 90,000 Sri Lankan Tamil refugees living in Tamil Nadu were “hill country” Tamils. While Sri Lankan law allows “hill country” refugees to present affidavits to secure Sri Lankan citizenship, UNHCR believed that until the Sri Lankan government processes the paperwork, such refugees were at risk of becoming stateless.